A former boss of Midland brewer Marston’s has blamed Britain’s growing Muslim population for the collapse in pub numbers. Tory peer Lord Hodgson of Astley Abbotts made the claim in a debate on whether to grant more freedom to landlords tied to big firms. He said “socio-economic factors” such as a growing number of teetotal Muslims living in Britain, played a much bigger role in the decline in pubs than “rapacious” chains. As Robin Hodgson, the politician was MP for Walsall North for three years until he lost the seat at the 1979 general election. 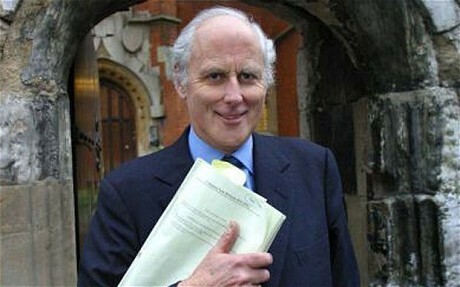 He joined the Lords in 2000 and was a director of Wolverhampton-based Marston’s from 2002. MPs voted through a cross-party amendment to the Small Business, Enterprise and Employment Bill, which would allow tenants to opt out of being required to sell only alcohol provided by their pub company. Business minister Baroness Neville-Rolfe said the Government would accept the principle of the amendment and seek to make it workable. But Lord Hodgson said he was “very disappointed” the Government was not going to consider overturning the Commons defeat. The Tory peer said the issue was not as “simple and straightforward” as MPs thought and the pub sector was “under serious strain” for other reasons. Referring to his career at Marston’s, he said: “Twenty-five years ago, the company of which I was a director would have operated probably a dozen pubs in Kidderminster, the home of the carpet trade. The carpet trade has gone and there are three pubs left. Lord Hodgson said the issue was one of the three main reasons pubs were going out of business, along with the “inexorable rise of regulation” and the availability of cheap alcohol in supermarkets. This entry was posted in Right wing, UK by Bob Pitt. Bookmark the permalink.